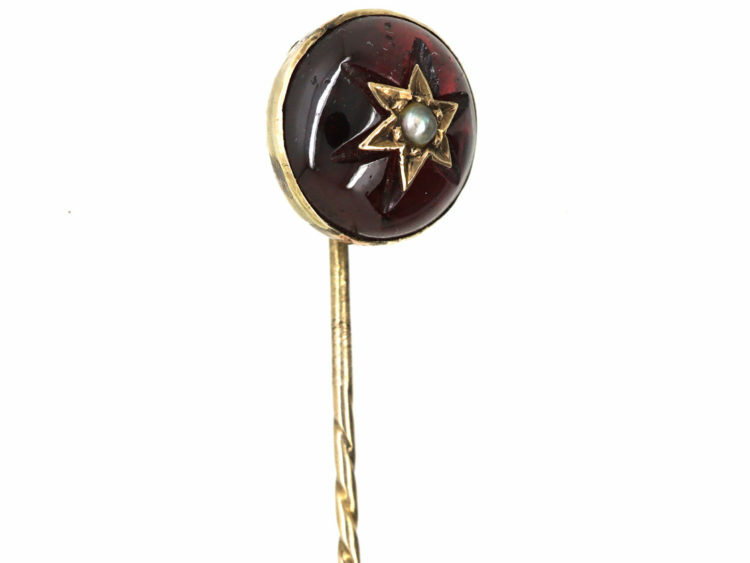 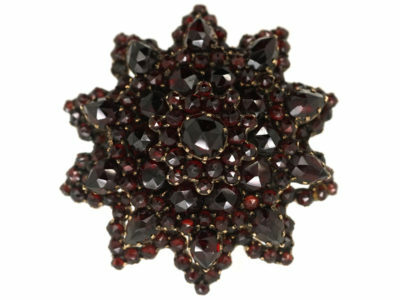 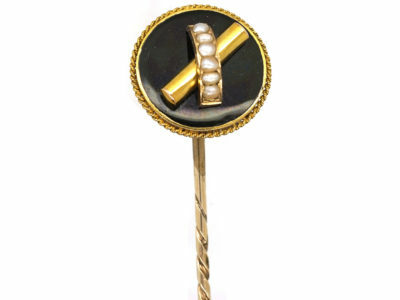 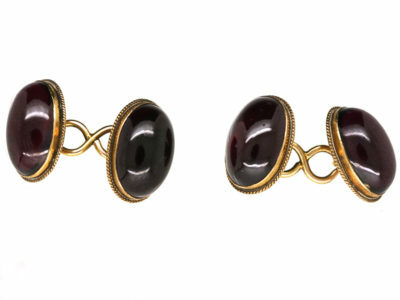 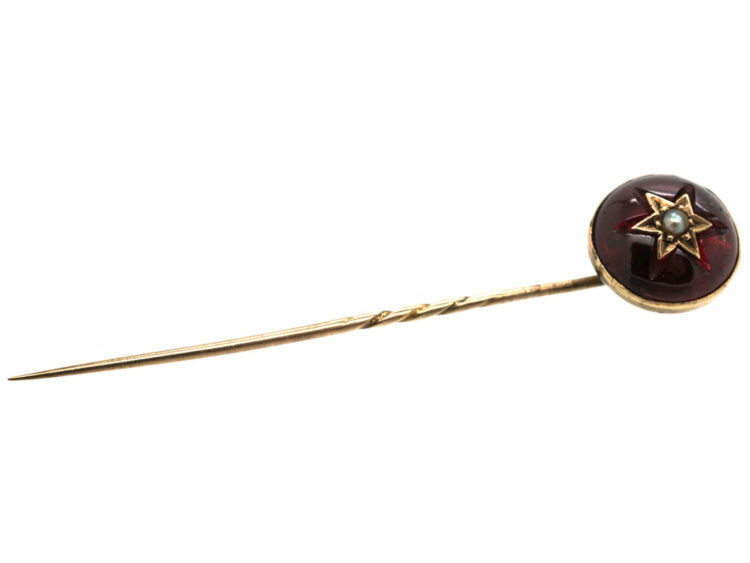 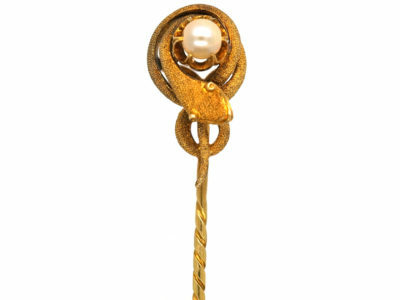 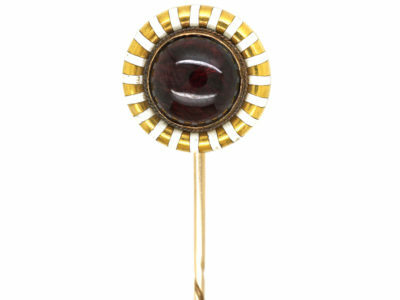 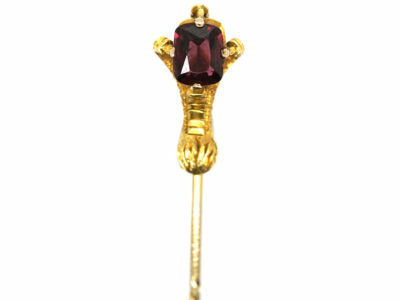 A neat tie pin set with a cabochon garnet with a star design in the centre and set with a small split pearl. 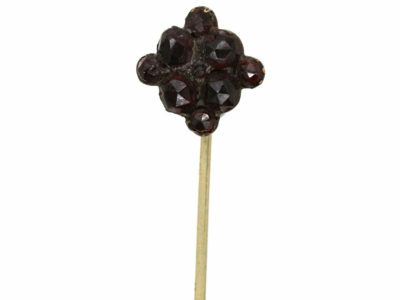 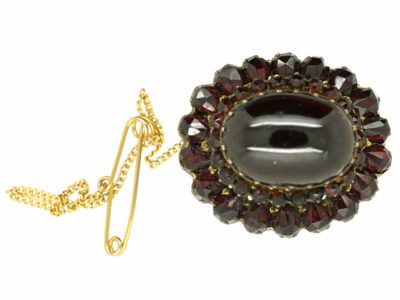 The garnet is foiled at the back to give it luminescence. 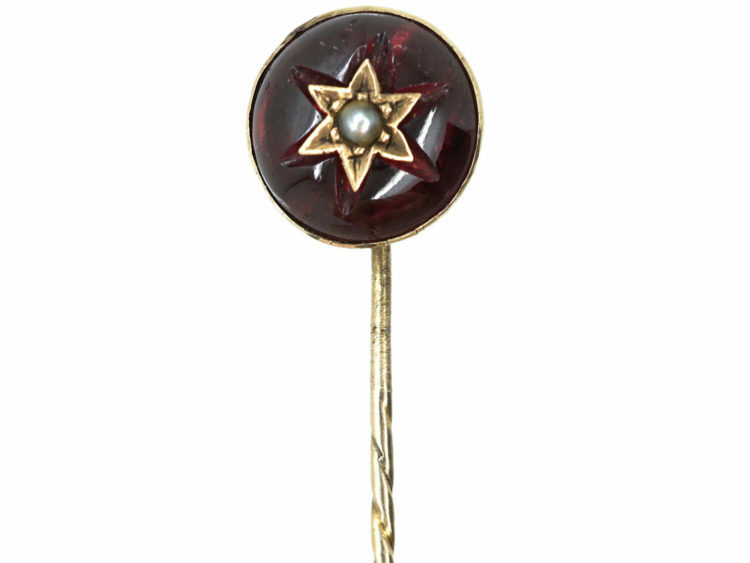 The star motif represents the spirit and guidance in life. 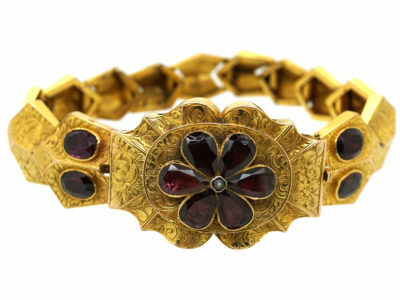 It was made circa 1880. 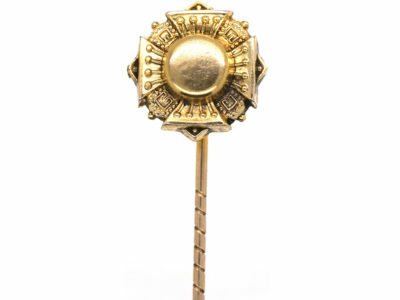 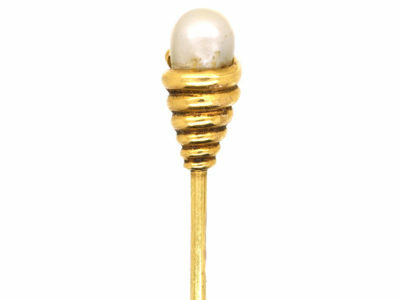 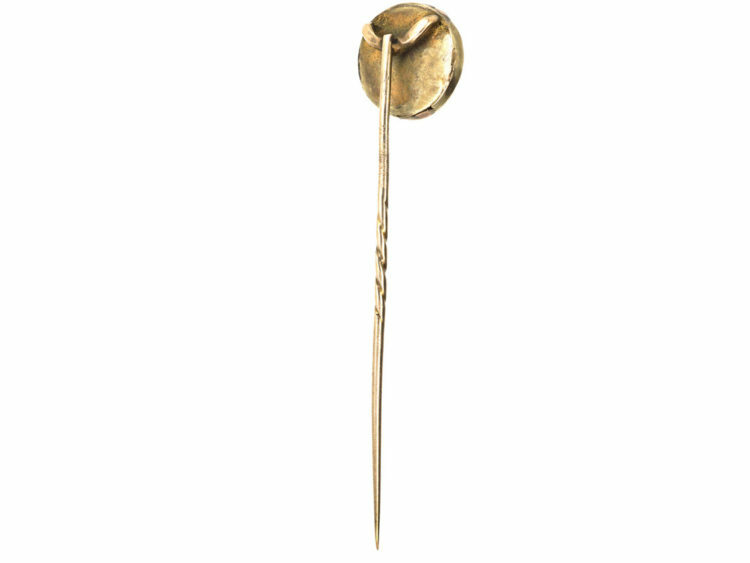 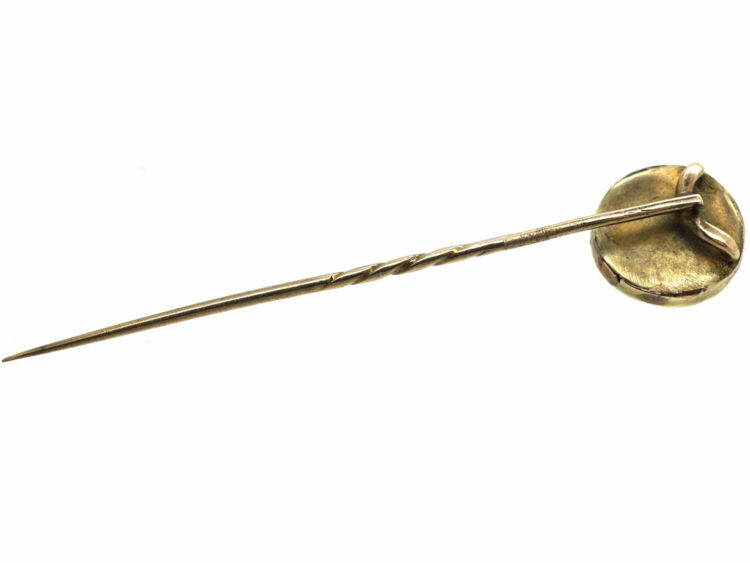 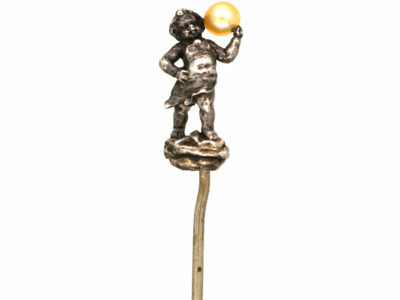 All our tie pins come with a stopper at the end of the pin.